The Muncie Urban Garden Initiative (UGI) networks resources and community engagement to encourage more local urban food production. Gardens in the UGI network cover 1.75 acres across Muncie; these do not include hundreds of backyard gardens that are in production as well. 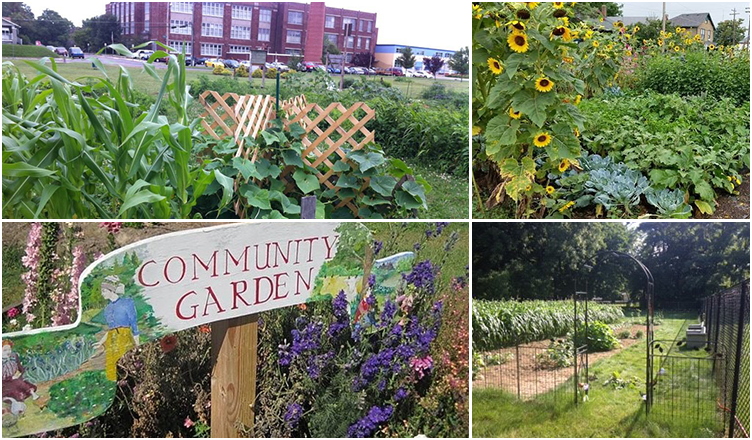 View maps of current UGI garden locations and potential urban garden properties. UGI has many resources for potential gardeners, including a Facebook page, books, tools, rototiller, straw, compost, seeds, plants, and experienced gardeners to educate. If your neighborhood, church, school, or business. Muncie also has an Urban Garden Committee. They have compiled a map of urban garden resources that you can view here. Rain gardens are shallow landscaped area that collects rain water from roofs, driveways, sidewalks and lawns and filters it through soil and plants before it enters storm drains or streams. Learn more with this Rain Garden brochure from the Hoosier Heartland Resource Conservation and Development Council and the Clear Choices, Clean Water website.